Teams get their work done through on going communication. The growth of technological options has made communication today easier and faster than ever. As people spend more time communicating with each other, the more opportunity there is to look at how to make communication more effective. Who is responsible to communicate and ensuring appropriate team dialogue? Everyone on the team should feel they have a responsibility to communicate whether in group settings or individual setting. It should be an on- going collective effort to maximize everyone’s voice. This can be done in several ways through face to face meetings, virtual meetings and just informal conversations throughout the organization. Everyone matters. 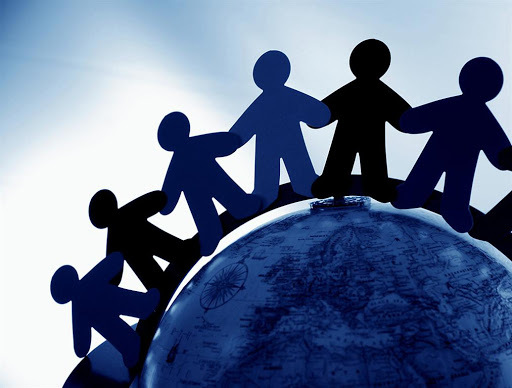 Leaders have to responsibility to ensure everyone is an active participant by sharing a united voice. What information is essential to communicate with the team? Teams need to ensure they stay on track with the priorities of the company goals and strategies. Excessive communication can sometimes side-track the team’s overall focus. With the WHAT communication, leaders need to remember to share relevant information with their team to ensure people are digesting the information that helps the company grow and continue to have sustainability in the market place. Everyone on the team must have awareness to the key objectives of the culture and the organization, so they can deliver the expected results. Where should communication occur to be most effective? In the last several years with communication tools available at our disposal, we find several ways to choose where we communicate. Most people consider face-to face interactions effective to virtual interactions because it allows people to understand the person fully as body language has a big factor for a meaningful dialogue. But as companies going global, virtual meetings are also important means to deliver company strategies to a wider audience. Leaders embrace all forms of communication and the ability to utilize multiple sources to communicate their messages across the globe. It’s an opportunity to learn more about your team as people and connect to ensure everyone is on the same page. Another important aspect of effective communication is how often people on teams should communicate. Communicating on a regular basis helps teams to keep everyone in the loop of what’s going on around the organization. The “No news is good news” expression should not apply here. As leaders, we want people to be in the know on a regular basis even when the company doesn’t have big news to share with everyone. It’s a great opportunity for leaders to continue the dialogue on a daily basis and keeping people informed or share a perspective. The why is probably the most important W of all communication. The WHY of communication helps people connect better to understand each other point of view. Team communication is more effective when people can articulate and share stories to support their communication. When leaders provide a sense of purpose through their communication, the better the team engagement toward the company goals. As leaders, we all want to have positive influence in our personal and professional life. How do we morally and ethically influence the lives of others in a positive way? When we think about influence, we think how to communicate our own message first. We want to make sure people understand our vision and expectations first. But influence, can be viewed as a communication process that seeks to understand another point of view and concerns before ours. When we first seek to understand another person, we are first influenced by their feedback and point of view. By doing so, we empower them to articulate their views and concerns because we care to listen to their story. Their story becomes part of our story as we share a common ways to achieve success together. As Covey mentioned in his powerful statement, people will be more open and receptive when you are willing to find out more about them and their story. To communicate effectively, we also have to be empathetic and listen deeply to understand people better. As leaders we must make time to listen, ask questions and walk along side with the people on our team. What makes them go the extra mile? What can we do help with their concerns? Good leaders sense others’ feelings and adjust their approach to match the audience’s ability to receive their message. Leaders use their emotional understanding to influence others in positive ways because it creates a significant relationship. We begin our communication with the intent to understand, instead of the intent to respond. We need to empathize as we build our relationships together because when we communicating with one another, we want to be sincere and completely present. As a leader, you can make a positive impact and have powerful influence when you bring the best in others. Each person has potentials and we need to communicate those to them on a regular basis. Believe in others as a meaningful connection toward their self-development. They will see and feel the motive comes from a good place in your heart. An act of service is another good way to care for another person. It’s our way of placing other people’s needs before our personal needs. We put their best interest in our heart and willing to give from our heart to make their day better. Good Leaders foster trust in their circle of influence. They encourage full disclosure and a safe environment for their people to voice their views. Good leaders have the courage to be vulnerable to hear what’s not working right and the ability to recognize their own shortcomings. By practicing openness and vulnerability, we create a strong circle of trust with everyone around us as they feel safe without someone ignoring their views. How important is it to train employees to resolve customer complaints? Customer service leaders can become more effective in coaching their team performance in handling customer complaints. 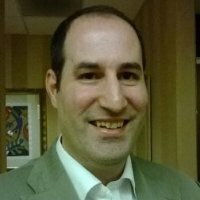 Companies can certainly benefit from a reputation of great service recovery that can translate to better customer loyalty and increased profits. The ability to turn around a dissatisfied a customer into a raving fan is a competitive advantage when a customer has more choices than ever of where to spend their money. There are many places that leave service recovery for chance. Service recovery must be part of the company’s on- going strategy to win its customers when things go wrong. And they will at times. The acid test of memorable service is occasionally based on how a company handles a customer complaint successfully. Service recovery can either make or break a company if that customer is worth half of the company profits. Several studies show companies with high quality customer service and effective complaint handling processes can charge a premium as well as increase loyalty. Customer service leaders must rally their people to develop their service talent to handle customer complaints effectively to create loyalty even when mistakes happen. How can customer service leaders coach their teams to embrace service recovery as part of the on-going efforts to achieve customer delight? Empowerment was the buzz word of the 1990s, but I can’t emphasize enough how critical empowerment is to service recovery. Customer service leaders can guide and set parameters to help their people with empowerment that creates a win-win situation for the customer and the company. Companies like the Ritz Carlton hotel company empower each employee to spend $2000 to resolve a customer problem. When everyone is empowered to do the right thing for the customer and the company, everyone wins. 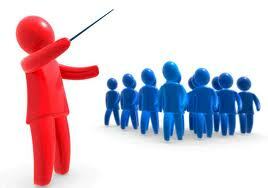 Secondly, as a customer service leader, you have to give your people the tool and resources to create magic. Customers loved to be wowed by someone in your company who goes above and beyond the call of duty- Someone who cares and willing to own the problem all the way to the end. Customers don’t like to be dispatched through multiple people in the company to solve their problem. They want the problem to be resolved the first time by the first person they interacted with. How can customer service leaders create an empowering complaint environment? First, model the expected behavior-leading by example is a very powerful message to your team. Second, monitor situations as they occur and finally reward your team for handling customer complaints effectively. Customer Service leaders set the example in one-on-one coaching, in training sessions and by being there with the team, hands on. Customer satisfaction is closely tied to employee satisfaction. Companies like Southwest Airlines, Zappos and Marriott continuously work on their service culture as part of an on-going awareness to exceed their customer service needs. These companies embrace significant values that separate them from the rest. The values and culture of these companies is-a people first service culture. Their customer service leaders understood the importance of on-going commitment to keep their people learning and providing the guidance to deal with difficult customers. How can customer service leaders embrace service culture in their company? · Every person is involved in driving the service mission and adds value to enhance commitment to customer loyalty. reinforcement of customer complaints handling. · The entire management team is committed to constant improvement in service recovery and taking ownership to deliver wow service. 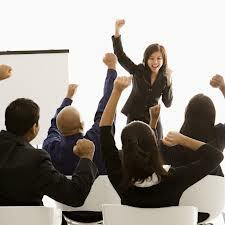 As the founder of Marriott Hotels, JW Marriott said, “If you take care of your people, they will take of the customer. And the customer will come back.” Taking care of your people is all about ensuring they have what they need to succeed in their jobs. As customer service becomes more and more challenging, so is the need for more guidance and mentoring. How managers can create a culture of recognition? Part of making a meaningful, engaged culture is the way we appreciate and recognize the people on our team. Everyone wants to know how their efforts and contributions made a difference to the company success and the customer’s loyalty. When you begin to think about a recognition program for your culture, it is important to establish the expected results. Managers need to articulate and define the expected behaviors that would be recognized as a job well done in their company. Behaviors can range from increasing revenues, cost-cutting to receiving a positive comment/feedback from a customer or to simply helping another coworker. When the goals and outcomes are clearly defined, the more people in the organization have a better idea as each person will understand how to deliver the performance expected of him or her. Another important aspect of creating a recognition culture is our ability to mentor our team about their efforts. We need to take the time to ensure they understand our expectations and what the company places value on. The best way to ensure their understanding is to seek their feedback on new initiatives they would like to be part of. They should be part of the on-going dialogue of a recognition culture. As a manager, you need to seek others’ feedback because not everything can be viewed the same way for all people in the organization. If the feedback loop is working effectively, then the people reach consensus on the program. Employees should be encouraged to recognize their peers’ hard work as well. Managers can encourage everyone in our organization to get involved and find ways to share recognition with their colleagues. As more and more organizations flatten their organizational charts, the more opportunities for employees to notice each other efforts. The recognition of peer to peer can be very informal, just simply sharing feedback on someone’s great work and communicating how valuable their ideas and hard work contributed to the bottom line. The recognition from coworkers helps facilitate a culture of engagement that stresses each person’s strengths to the overall big picture. Recognition programs in recent years have been placed on the back burner as companies focused on cutting costs and eliminating jobs, but now more and more companies want to build a culture of engaged and recognized culture that can impact every aspect of the company’s bottom line. Why we all need a coach? In life, you get what you put in. When you make a positive impact in someone’s life, you will also make a positive impact in your own life. One of the key to success in life is having other people around you nurture your personal development. Each one of us is designed to be with someone who can mentor and coach along the way to our highest potential. We discover and build our character with the help of genuine support and encouragement from others. Why do we need coaches and how we can become a good coach? A good coach gives guidance to help discover the best in others. The coach doesn’t have all the answers, but enough to direct and help facilitate action to a better performance. That guidance and mentoring comes from their own personal experience and knowledge as they find opportunities to share these with the people around them. Being a successful coach is the result of how well we guide others to success. If we dedicate the time to daily mentoring that brings genuine interest in other people’s development, we will make meaningful improvements toward a better future. A good coach has the ability to motivate others. They have an attitude of optimism and uplifting energy that brings others to a higher level of performance. Other people want to be around them because of their ability to raise the bar higher to stretch and grow. On this level, the coach has the ability to help people believe in their own abilities to push themselves to create an amazing performance. We can all relate when we had someone special that provided inspiration for us when we needed it the most. That coach came to our life and encouraged us, believed in us to elevate our game to a higher level. A good coach is interested in the growth others. They don’t reflect on their own personal victories. They want others to succeed and grow. They venture into the unknown world of other people’s potential. The good coach has the commitment and the desire to spend time with others to help build momentum toward growth. Building others begins with the opportunity to see development in others as a gift you can give to others-your time and resources to help another individual perform better. We are there along the way to provide a meaningful connection that goes beyond the policies and procedures. We are there to positively challenge the status quo and bring the best in each other. By building others, we also build ourselves as people who made a difference in the world. Make a priority to find someone you can coach and mentor today. Your efforts will help that person develop and grow. Giving your time and knowledge to others will you develop your leadership skills. How feedback can help everyone grow? Feedback is a great tool to help leaders share a perspective and improve a two-way communication process that can serve a discussion for opportunities and growth. Many leaders wait until a problem occurs before they give feedback. The key to providing solid feedback is to take initiative, be highly mindful of others’ needs, and be courageous. If you want to grow as a leader and a follower, feedback is a great tool for your career. Use it wisely and consistently and you are paving the road to a win-win journey for years to come. Feedback doesn’t always have to be critical. Feedback can involve the celebration of a moment and / or a suggested development opportunity with someone you care for. Feedback must be viewed as a bridge between two or more people to create a better awareness of each other needs for growth. Feedback can only be welcomed and shared if everyone is honest with each other. Honest feedback doesn’t mean blunt and abrupt way of communicating. It’s feedback that comes from our good side to help others succeed. It’s our initiative to cultivate a relationship for the better. We share feedback because we care to uplift others, not to destroy their hopes and dreams. If you share feedback, you must equally be open to embrace it from others on your team. The best leaders are open-minded enough to receive helpful feedback and use it as a learning opportunity to help them improve and even see situations in a different light. Leadership is not about hierarchy, but a shared journey together to listen to all perspectives. It requires us to listen with the intent to learn something instead of the intent to reply. 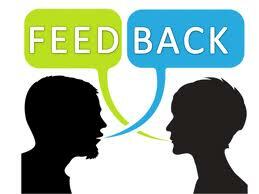 A great way to end all feedback sessions is to reaffirm the person’s value of sharing the feedback with. Great leaders are interested in people flourishing and growing in the process of sharing a perspective. In the end, isn’t that what we all want for our teams, peers and the organization as a whole? When we talk about meaningful, genuine feedback, we talk about “giving” it just as we do with praise. In the act of giving, we share a gift. Leaders are all very different people. Each Leader has their own style and attributes that serve their people. Successful leaders have genuine desire to help others through their meaningful relationships. They are interested in empowering and taking people where they are to where they could flourish even more. How can we develop our leadership style to build enduring relationships with the people we serve on a daily basis? A leader must be their own person, authentic and real in all relations. People trust you when you are genuine and authentic. Authentic leaders recognize their shortcomings and their strengths to work on themselves first. The first task of a leader is to get to know themselves before they can lead others. Other people will follow them if they know the leader is not pretending someone they are not. Great leaders make a commitment to self-reflect and share their values with their teams in an authentic way. Take the time to discover your leadership style as you make an impact on others. A leader with positive attitude makes the best out of a difficult situation. Sometimes the difference between a challenge and an opportunity lies within our attitude toward it. Great leaders understand that the right attitude will set the right feeling, which enables the right reactions from others. One of the most critical attributes to any leadership environment is the attitude of the leader. How the leader approaching difficult people and situations will always sets the tone for how the team will handle any conflict. One of the ways a leader can improve is by developing a constructive attitude that would be helpful to the team’s success. Appreciative leaders take the time to focus on what is working right and how to recognize their team strengths. They understand that each person on their team has something to offer. Each person is being valued by their contribution to the overall results. Appreciative leaders can help their teams by discovering the uniquely qualities and capabilities to create future development or change in their organization. They are willing to engage with other members to share and collaborate together because everyone matters. Take the time today to reach out to others and celebrate their victories. is your company a customer complaint-friendly? Customers today have many options to choose their buying experiences. With each and every buying experience, the customer may sometime encounter a problem. When customers feel dissatisfied, they have two options on how to continue the relationship with the service provider. The customer can either share their feedback or they can walk away and never come back. We must view customers complaints as golden opportunity to strengthen our relationship with the customer. In some places, service providers look at complaints as burden rather than something they can actually benefit from. Complaining customers are still talking to us, giving us another chance to recapture their experiences with our product and services. So what can we do to ensure we have a place for customer to share their experiences with us? Our customers concerns have to be heard and acknowledged. That’s what relationships are all about. Customers more than any other time want a relationship of trust. The last thing the customer would like to hear is blaming someone else for their concerns. Own it right away. You can diffuse a lot of anger from the customer perspective when you take responsibility for any mishaps. When you take responsibility, you communicating you care not to pass buck and you understand it’s not the customer fault. You can alleviate a lot of anger by ensuring accountability and a sincere apology to the customer as they also understand we are not perfect, but we are willing to admit our mistakes. It shows a sense of urgency and you are communicating with the customer how you are going to take care of the issue. Sometimes, we just assume that we know what the customer wants and failed to have a dialogue on the resolution. The resolution should be an agreement that exceeds the customer expectations. Great leaders discover the potential around them. As more and more companies are comfortable adding people to their organizations, so is the potential for growth. We have an opportunity to develop and mold the next leaders of our organizations. To create the right opportunities for growth, we have to bring out the best in the people around us. Leaders who inspire employees to stretch themselves to superior performance are the ones making the difference. These are the mentors of tomorrow. And the world needs more of them, especially now, when leaders are expected to do more with less. As leaders, how can we bring out the best in others? Human Relations and author Dale Carnegie wrote,” Become genuinely interested in other people.” In today’s world, leaders are respected by the way they treat others. If we can show a genuine interest in the well-being of another, we are creating a positive environment for them to flourish. Everyone has a story to tell, but are we really interested in their stories? Are we really taking the time to listen and relate to their stories? One of the biggest challenges we have as leaders, is to identify each person talent and how their talent fits to the overall picture. Leaders must identify the capacities of their teams. We need to understand how each person can contribute and add value to our team and customers. You have to spend time with your people and see where they shine. Concentrate on developing those strengths within your team as part of the development and growth. Helping others grow is a major part of bringing the best in others. A strong leader has the ability to inspire and develop their teams to a better future. Mentoring happens when we are committed to the growth of another person. We see the potential and we dedicate our time and resources to help them blossom. Most of us have mentors and we value the impact they are making on our lives.Let’s take what we learned and do the same thing for others. Last but not least, we must never forget the impact of a positive recognition. Congratulating and appreciating someone creates a lasting memory. It’s the token for a job well-done and celebrating our success together. If you have some ideas on how to bring the best in others, please feel free to share them. Caring can add value to just about every experience we share with other people. You can never go wrong with too much care. Did you ever hear anyone complain because someone cared too much? If we want to make a difference in people’s lives, we have to care. We have to care about their situations, we have to care about who they are and we have to care enough to make a positive impact in their life. Offer your hand and your heart to another person today. It can be something very small but make sure it’s meaningful. By offering assistance to another person we communicate we care enough about their life. We think it’s important enough to listen and maybe find a way to place ourselves as a resource to improve their situation. Some people don’t express the need for help and hope something will change. As leaders, we have to be the light and have the courage to understand others by being there as a support. As a leader, if people don’t come to you for help, maybe that’s something you can work on to listen more, understand better and get better as a leader. As leaders, we can relate and connect better to others by clarifying their messages. A simple comment such as “I want to understand better,” means you want to take the time to really listen and care. It communicates we are aligned with the situation the other person is having. 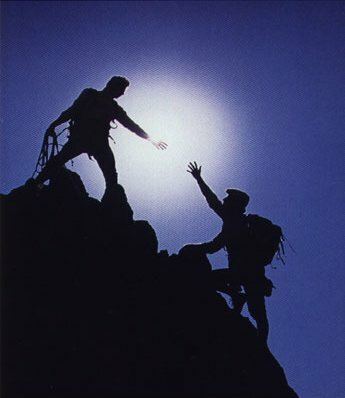 We are taking the journey together to help each other. As leaders do we really care what others think? Are we busy in our own world in trying to accomplish our goals? By asking people to share their thoughts and opinions, we open our hearts and ears to another point of view. It’s what Stephen Covey articulated and taught as the Third Way. It’s not my way or your way but our way together. By asking people what they think, we allow synergy to flourish. We bring another perspective to our leadership conversations because we all have a story to share, a meaning to create. The life of abundance is the life of sharing thoughts and ideas together. Trust is built by taking the time to deeply listen to one another and to get to know their thoughts and opinions. It’s a process that can help us embrace more of our human growth by learning how to brings different point of views in the process of cooperation to make us complete.